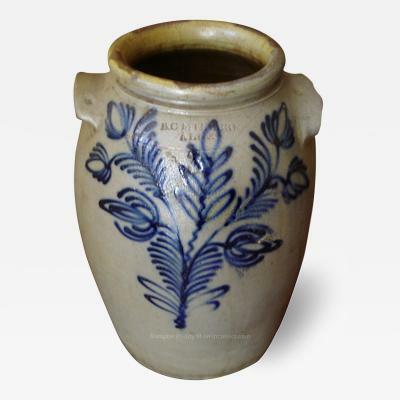 By the first half of the fifteenth century the cities of Brugge and Antwerp in the Southern Netherlands, now Belgium, were importing Italian earthenware through their trade connections with Italy, Spain, and Portugal. Majolica, as the pottery came to be known, is an earthenware product coated with a highly translucent lead glaze on the back, which is rendered an opaque white on the front by the addition of tin oxide.2Majolica plates were fired face down on separating stilts, the marks of which are visible in a triangular pattern in the central section of the plates (Fig. 1). 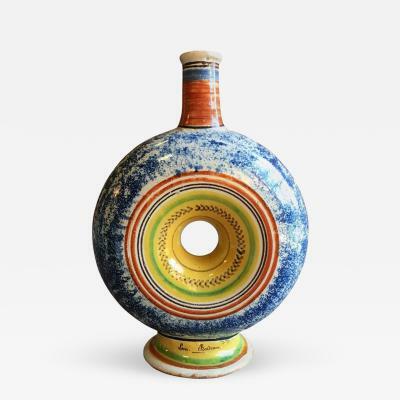 The Italian city of Faenza was a recognized center for earthenware production. The French called the earthenware produced in Faenza “faience,” later referring to their own earthenware products by the same name.3 Faience is an earthenware body completely covered on the front and back with an opaque white tin glaze.4 Fired with the image upward, the stilt marks appear on the back. By the mid-fifteenth century the earthenware industry was well established in Antwerp, as reflected in the founding of the Guild of Saint Luke (St. Lucas Gilde); this guild existed for many centuries and stretched throughout the Netherlands. The books of the guild report that at the end of the fifteenth century several Italian majolica and faience makers had moved to Antwerp. Under religious pressure, many of the reformists left Antwerp in the second half of the sixteenth century, and moved to various destinations including London, England, Hamburg, Germany, and the Northern Netherlands, specifically to the city of Haarlem. In the beginning of the seventeenth century, many earthenware makers left Haarlem for the city of Delft. The reason for the relocation was to move into the large buildings made vacant when the city’s beer brewers ceased production because of the polluted canal water; a resource the artisans were able to use for their clays. They started producing the same type of tin-glazed earthenware product as that imported from Faenza; it is for this reason that the term delftware has become synonymous with faience (Fig. 2). The seventeenth century, the golden age for the Netherlands, was dominated by the Far East traders of the United East India Company (the VOC), who took over as main traders from the Portuguese. When export from the Far East ceased in the last quarter of the seventeenth century, due to a war in China, the Dutch Delft faience producers tried to fill the niche in the market mainly by producing items with the opaque white tin glaze decorated with typical Chinese scenes (Fig. 3). 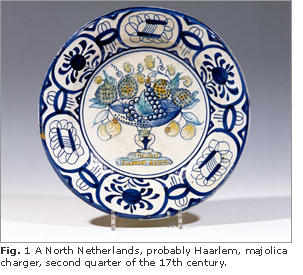 The Dutch even called their product “porcelain,” although composed of a different ceramic body than true porcelain. Looking back at the names of Delft factories, we find hints to their history. The Porcelain Axe and Porcelain Bottle factories, for example, likely selected their names to compete with the true porcelain market; the latter factory now produces true porcelain. The Three Barrels factory probably used the same name as the beer brewers who had occupied the building prior to the faience producers. Within the next century-and-a-half the Delft producers became so successful that their products were imitated by many European and Far East factories and cities. At the height of production in the eighteenth century, the Guild of Saint Luke counted almost forty factories in the small city of Delft. As a result of this high concentration of potteries and imitation by competitors, the term delftware was applied to tin-glazed earthenware pottery produced elsewhere. This is perhaps most evident in reference to earthenware produced in London, which is referred to as London delftware. Robert Aronson is a director of Aronson Antiquairs of Amsterdam. 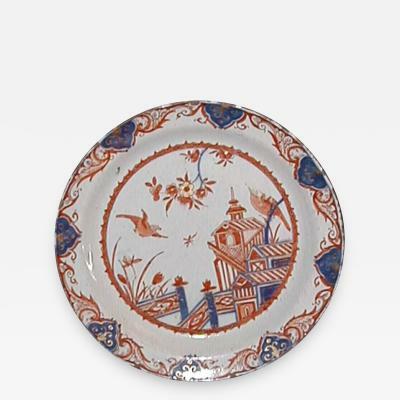 Founded in 1881, they are the leading European dealer in Dutch Delftware. For more information on the subject, visit www.aronson.nl. Collectors’ Corner is a regular feature that presents useful information for collectors learning about antiques and fine art. All images courtesy of Aronson Antiquairs of Amsterdam. This article is written from a Dutch perspective. Because of the expense of tin, some early faience objects had a tin glaze only on the front; these pieces were fired face down.